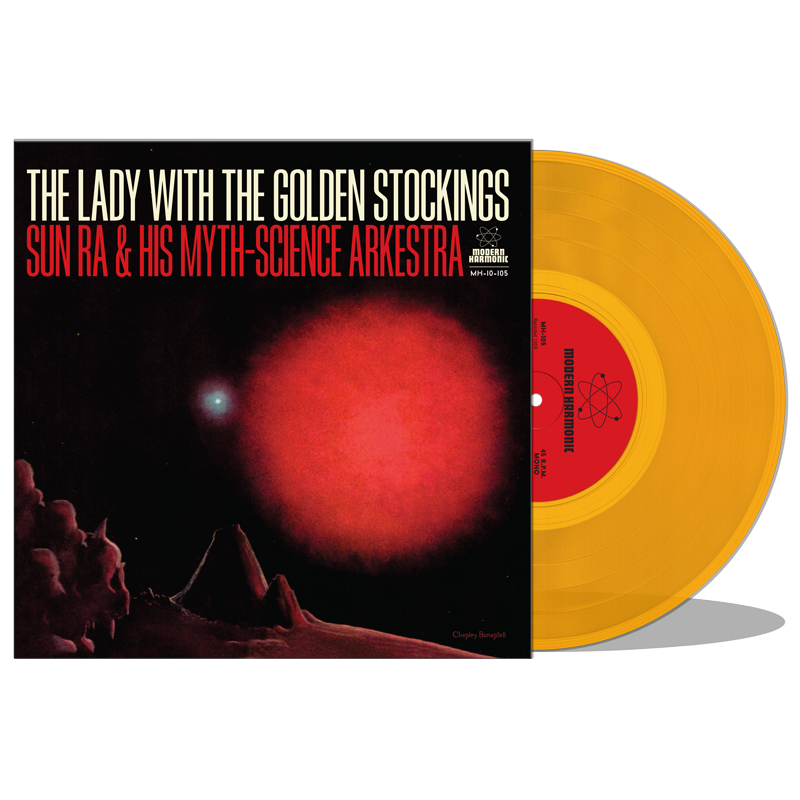 "The Lady With The Golden Stockings" is a propulsive, forthright groove -- a decisive, deep-space, pre-dawn party jam, emitting golden sparks from the black hole center which begat "Africa" and "Watusa." Quantum-elasticity of temporal equations, bubbling bass, trumpet dancing on light waves, tenor sax serenade across the galaxy, signaling yonder... vessels... beings... femaliens... Pure poetry in sublime, delicate, rhythmelodic motion becomes "Spontaneous Simplicity." A centerpiece among the gently blissful, tender works in the Sun Ra canon, heard here in a "missing link" super rare, compact version freshly excavated from the '58-'59 era -- this is the first appearance of the tune (pre-dating by a decade the stretched-out live version first known from Pictures of Infinity). Ra's electric piano bass and the roots-heavy organic beats characteristic of the seminal Nubians sessions providing ballast, Marshall Allen's flute flutters butterfly wings, guiding the ship steadfastly beyond the eternal, to the everpresent; the other side of the end of time. The title "Love in Outer Space" first appeared in 1962 on the Saturn album Secrets of the Sun. The backing track here is from the intimate Night of the Purple Moon, originally a 1970 album instrumental, with David Henderson's vocal overlaid and issued on a Saturn 7-inch 45 in 1975. Henderson (known for 1960s work with Umbra collective and the Black Arts movement, performance on Ornette Coleman's Science Fiction plus early scholarship on Jimi Hendrix), provides his own lyrics, singing: "Sunrise in Outer Space, Love for Every Face." With the emergence of this vocal version and the ascension of the Sun Ra Arkestra's mid-seventies popularity, onstage the tune became a quintessential Ra anthem, a vehicle for frenzied acrobatics and organ-asmic drum-orgies of hyper ecstatic proportion. Utopian yearnings of space commune Sun Children, escape velocity. On gold vinyl! !